Play word association with Las Vegas and you see electric lights and neon and hear the bells on the slot machines and the tinkle of coins. But there is another side to the World’s Most Exciting City. Outside of town, we gathered on the windswept Boulder City gun range at the SHOT Show’s 2013 Media Day at the Range to test the latest in hunting rifles, sporting shotguns and self defense guns, optics and ammunition. One of the first items I wanted to get a look at was the new .17 Winchester Super Magnum, billed as the world’s fastest rimfire cartridge. Loaded with a 20-grain bullet and capable of 3,000 feet per second, this is going to be the hot topic at shooting benches from Central Oregon’s ground squirrel fields to the prairie dog towns of the Midwest. I got to try the new bullets in a Browning single shot, but the true test will be on an April day somewhere east of Burns. Cabela’s booth that featured a selection of battery heated clothing that would be at home in a duck or goose blind. I tried the Heated Performance Camo Vest on a waterfowl hunt on the Crooked River in December. You control the temperature with four levels of heat using the controller built right into the battery pack. A single battery charges in three hours and provides all day warmth. The 2013 Shooting Hunting Outdoor Trade (SHOT) Show in Las Vegas set attendance records again with 62,371 through the gates. 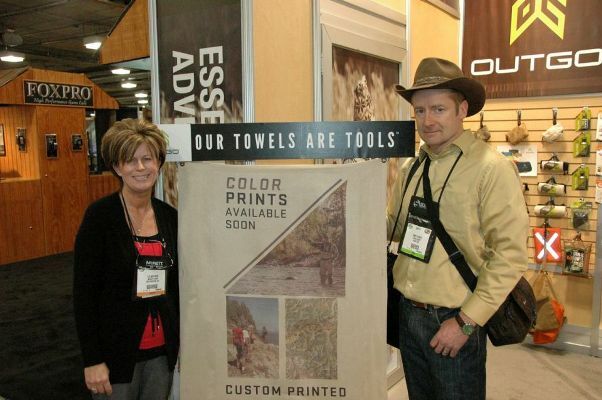 The SHOT Show, now in its 35th year, attracted 1,600 vendors and industry professionals from 100 countries. Of course there was buzz about proposed legislation but another underlying current was the transition from an emphasis of sales to the military and changing to marketing to law enforcement agencies and civilians. Case in point was First Light, based in Illinois, whose line of handheld lights gained considerable attention from the military and has never really been marketed to law enforcement till now. Oregon was represented by Nosler, Leupold, Warne Scope Mounts, Colt Competition, Kershaw and many others. New this year is Nosler Defense, a line of bonded handgun and rifle ammunition made with the same technology employed in the AccuBond. The new handgun bullets are offered in either jacketed hollow point or polymer tipped configurations. Another new Nosler product is the AccuBond Long Range hunting bullet, optimized for the highest ballistic coefficient and a performance window between 1,300 fps and 3,200 fps. 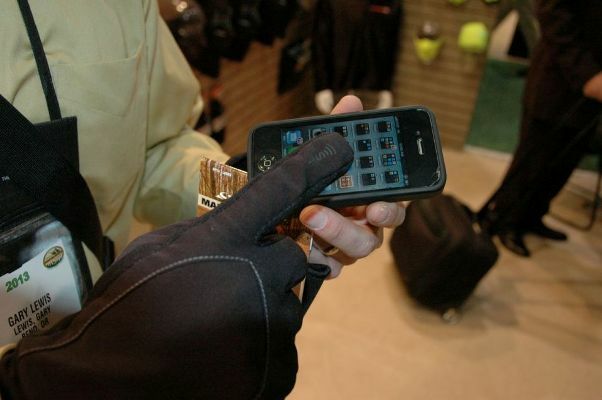 I was impressed with the product offerings from Seirus Innovations, a company that builds gloves with heat transfer technology in the fingertips that allow a person to operate electronics while keeping their digits warm. Redfield, purchased by Oregon-based Leupold a few years ago, has rolled out a line of exciting new optics for the hunter like the Revenge with a built-in Accu-Ranger for about $179. Three-gun competitors will be interested in the new Counterstrike, a combo green/red dot scope and Oregon-engineered laser unit priced below $200. Another Northwest company, McNett Corp, based in Bellingham, features a line of interesting products that include a microfiber towel perfect for the backpacker and Aquamira water filters sized to serve everyone from the backcountry hunter to a small village. Crosman has a new Jim Shockey-endorsed 22-caliber break-barrel gun/scope combination called the Legacy that boasts 950 feet per second in a serious hunting air rifle. From Ruger comes a new 10/22 Takedown with all the features found on America’s favorite rifle plus the ability to take it apart for convenient transport. At the Kershaw booth, I got a first look at the Tualatin-based company’s new line of hunting knives, which includes the Diskin Hunter, a knife with a big, drop-point stainless blade and a slim handle with textured scales. One evening we were invited to attend a presentation of the US Sportsmen’s Alliance. The Cabela Lifetime Business Achievement Award was presented to Bushnell Outdoor Products and was accepted by Bushnell president and CEO Blake Lipham. The U.S. Sportsmen’s Alliance (USSA) and its Outdoor Business Council created the award to honor the Cabela family's dedication to protecting outdoor sports. It is presented to companies that demonstrate a commitment to protecting America’s outdoor heritage. One of the programs developed by the USSA and other groups is Families Afield, an organization whose aim is to remove the barriers that keep new hunters from the sport and reverse a trend of declining sportsmen’s numbers. Since Families Afield launched in 2004, 34 states have changed regulations to create additional hunting opportunities and USSA boasts 782,604 new hunters in the field. 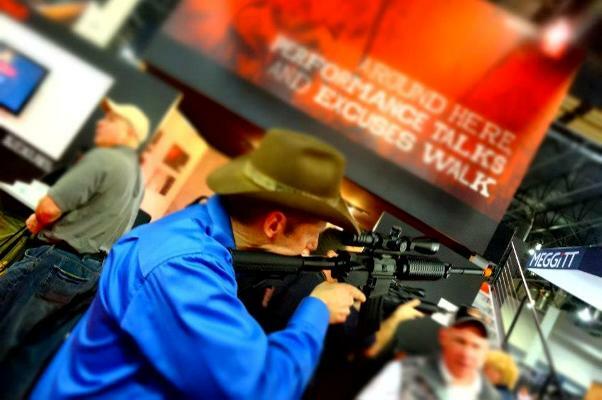 These were just a few of the SHOT Show products from 2013 that stood out to me - and there was no way I could see the entire SHOT Show floor during the four days I spent in Vegas. The Vegas SHOT Show is one trade show I try to make every year.